Verbatim DVD media recognised as the choice of professional users. 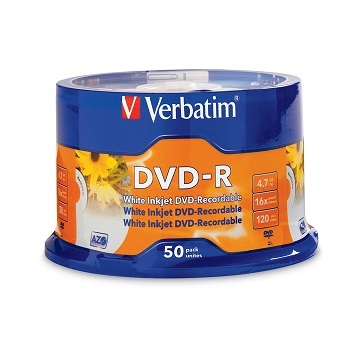 Verbatim DVD+R offers the optimal "Advanced Azo" recording dye, which provides the highest level of read/write performance, reliability, and archival life. Compatible with up to 16x DVD+R hardware from Dell, HP, Compaq, Sony and others. 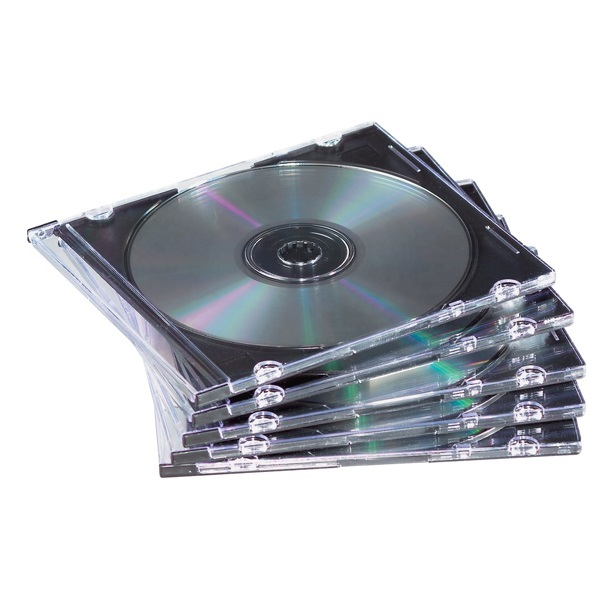 Convenient spindle pack of 10 DVD+R discs without jewel cases. 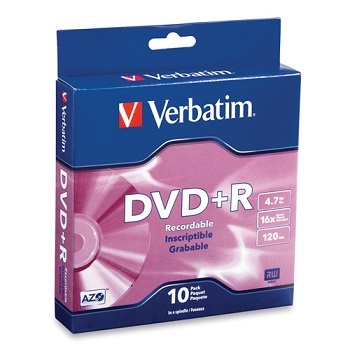 Verbatim DVD-R offers the optimal "Advanced Azo" recording dye, which provides the highest level of read/write performance, reliability, and archival life. Compatible with up to 16x DVD-R hardware from Apple, Panasonic, Pioneer, Sony and others. 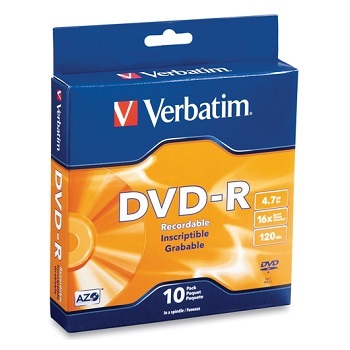 Convenient spindle pack of 10 DVD-R discs without jewel cases. Verbatim White Inkjet Printable discs are the ultimate choice for developing, customising and distributing DVD content. Advanced Azo recording dye optimises read/write performance. 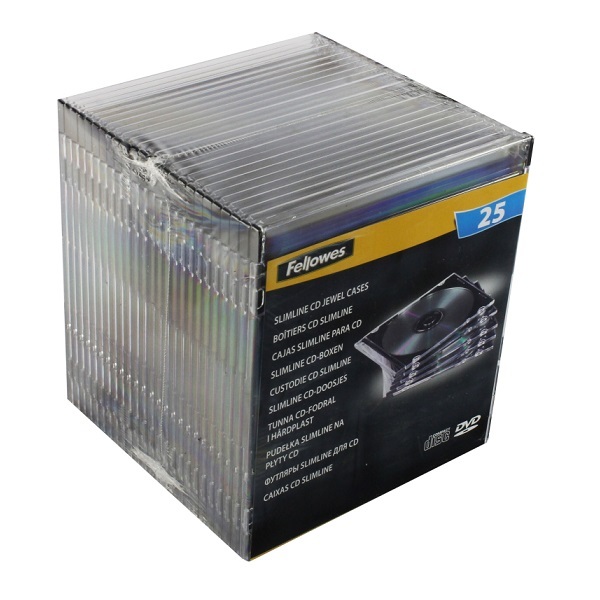 Bulk spindle pack of 50 DVD-R discs without jewel cases. Limited Lifetime Warranty. Superior Archival Life. 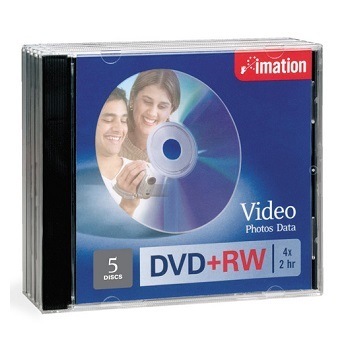 Imation DVD-RW offers 4.7GB or 120 Minutes of re-recordable storage capacity, superior recording quality, and compatibility with 1x-4x DVD-RW writers. Rewritable format that allows user to record, erase and re-record their own DVD discs more than 1,000 times. Ideal media for video, audio, graphics and general data storage. Pack of 5 DVD-RW discs with jewel cases. 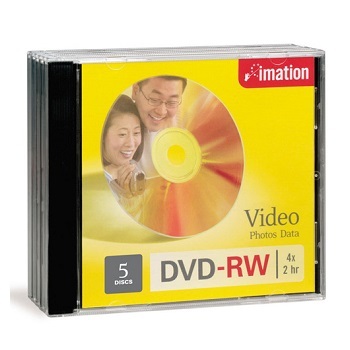 Imation DVD+RW offers 4.7GB or 120 Minutes of re-recordable storage capacity, superior recording quality, and compatibility with 1x-4x DVD+RW writers. Pack of 5 DVD+RW discs with jewel cases.